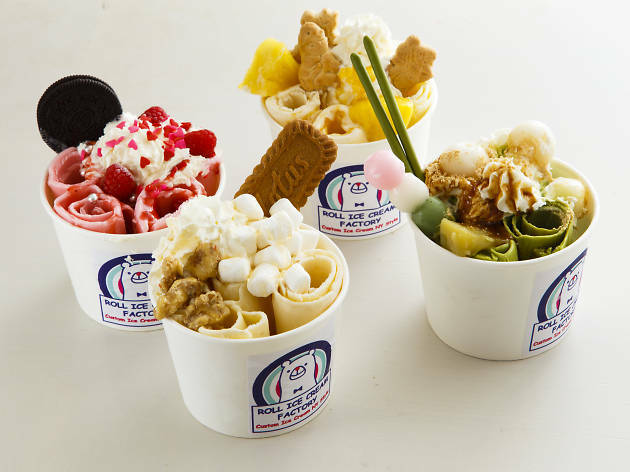 Originally from New York, this famed ice cream shop finally arrived in Harajuku in early summer 2017. 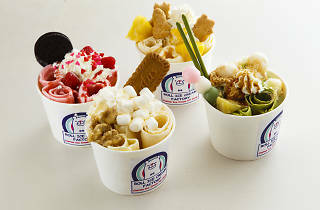 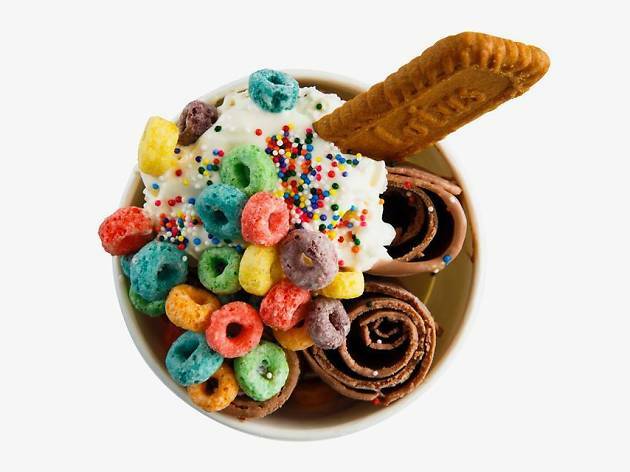 Look out for their take on the classic Thai-style treat in which your ice cream is not scooped, but artfully rolled and decorated with your favourite toppings. 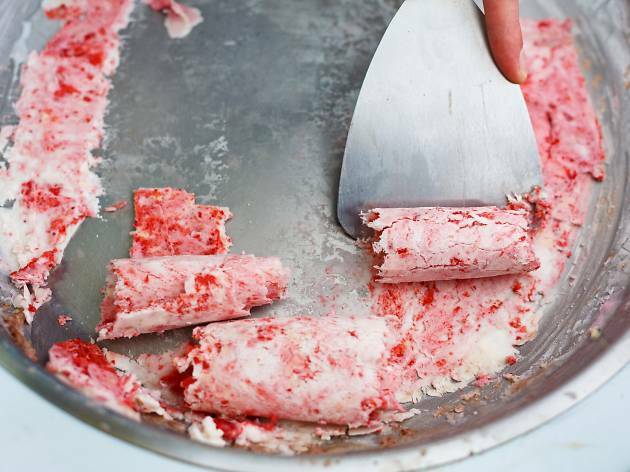 But how can ice cream be rolled? 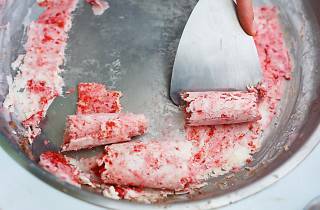 The process is simple: liquid cream is poured onto a cold plate that's an icy minus ten degrees, then rolled with a spatula into perfect little cylindrical shapes. 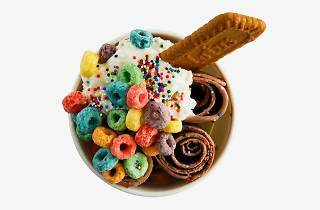 Top it all off with your pick from over 40 different toppings, mix it in and you're good to go.